Sanjay Leela Bhansali’s next movie, Guzaarish, after the abysmal Saawariya he made a while back stars super stars Hrithik Roshan and Aishwarya Rai in the lead. In the film Hrithik plays the role of a paraplegic patient while Aishwarya plays his nurse. Hrithik Roshan who is paraplegic pleas and fights for mercy killing himself. The film also stars Aditya Roy Kapoor, Monikangana Dutta and Nafisa Ali. The story of the film is set in Goa. The film is slated to hit theatres on 19th November. 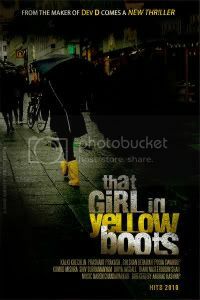 Sanjay Leela Bhansali whose last movie, the forgettable, boring Saawariya bombed at the box office is back with a bang. The promos of his next offering Guzaarish, have struck a chord with the public as well as the critics. 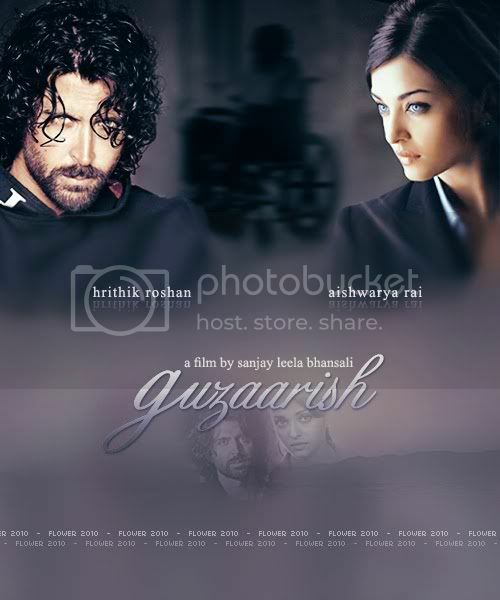 Guzaarish stars Aishwarya Rai and Hrithik Roshan in the lead. 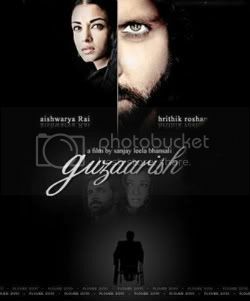 The film Guzaarish is based on A Man (Ethan Mascarenhas played by Hrithik Roshan) who is suffering from limb paralysis and pleas to the Government for mercy killing. He loves his caretaker and Nurse Sophie D’souza(played by Aishwarya Rai). Watch the exclusive trailer of the most awaited film Guzaarish starring Hrithik Roshan and Aishwarya Rai. Sonam Kapoor may have lost on Aditya Chopra’s Rab Ne Bana Di Jodi, but the Saawariya girl has been getting quite some mileage from the media. Soanm Kapoor has been splashed out over magazine covers and is sure staying in news despite not having too many movies to back up upon. 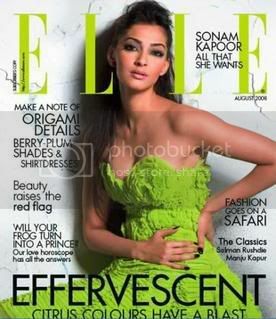 Here is a hot scan of Sonam Kapoor from Elle Magazine . Watch and enjoy. The nominations for the prestiguous IIFA Awards which are akin to the Oscars in Bollywood are out. The controversial things about this time’s awards though is that Aamir Khan’s critically acclaimed Taare Zameen Par will not feature in the list of nominations. The reason being Aamir Khan’s failure to fill in the nomination details for Taare Zameen Par for IIFA Awards. So that means Chak De India is most likely to sweep most awards this year round. The IIFA Awards ceremony would be held in Bangkok this year and it sure promises to be a scintillating star studded affair. If Ranbir Kapoor is being seen as the true inheritor of the Kapoor legacy, it is with reason. 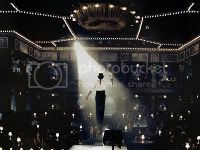 In his debut film Saawariya a major part of Ranbir’s personality was patterned on Raj Kapoor. And now Raj Kumar Santoshi who sees a special spark in the Saawariya star is getting ready to take Ranbir’s acting ancestry to another level. Santoshi fondly recalls the experience of working with Ranbir’s father. “In my Damini Rishi Kapoor played a really difficult role…of a man caught between his duties towards his family and society. Though Rishi didn’t have an author-backed role in Damini, what a beautiful job of he did.” Ranbir on the other hand not only has the title role in Ajab Prem… his character also gets to go through a series of life-changing experiences. “Ranbir takes interest in every aspect of the film. He’s a keen student if cinema. His enthusiasm for cinema goes much beyond his role. I know I’ll enjoy my shooting with him. But beyond that I’m right now enjoying interacting with him,” adds Santoshi. In the next two months, Santoshi will be doing a first-look photo session between Ranbir and Katrina Kaif. “We’ll also be sitting on the costumes because the clothes are a very important part of the story. We start shooting the film only when Ranbir returns from his long foreign schedule of the Yashraj Film,” informs Santoshi. Sonam Kapoor, daughter of Anil Kapoor, who played the demure girl in Sanjay Leela Bhansali’s Saawariya, is not exactly that innocent as her appearance shows. Have a look at the pictures below and you will know what we are talking. The net-savvy Sonam Kapoor has a Facebook account, through which, she keeps in touch with her friends, all around the world, for over a year now. Recently, she was shocked to learn that someone had hacked into her account and gained access to her personal pictures and other information! 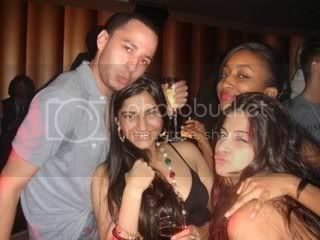 Sonam found out about this, when a friend called to inform her. 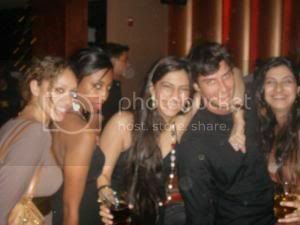 “Sonam wasn’t in town, when she got a call from a friend, alerting her that her pictures – from a private party – were all over the Internet. They were also on some movie blogs and other Bollywood sites,” a media source informs. Normally stars like to keep their love affairs all hushed up and under wraps. But newcomers Deepika Padukone and Ranbir Kapoor seem to have no qualms to publicly declare their love for each other. After Ranbir Kapoor expressed his feelings for Deepika in an interview, it was Deepika’s turn to reciprocate. How did your romance with Ranbir begin? We met while we were shooting for our respective debut films (Om Shanti Om and Saawariya). At that point of time it was very different because he hadn’t been in the limelight at all. It was a completely new thing for him whereas I was used to it, having been a model. We were both very involved with our films then. So we didn’t really get too much time to spend with each other. We went our separate ways after our movies were released and we just disconnected. Then we got together again when we were doing Siddharth’s (Anand, director) movie (Yash Raj Films). We were together for a month and that’s when it started. Ranbir Kapoor might have had a disappointing start to his career with Sanjay Leela Bhansali’s Saawariya. But the handsome Kapoor boy isn’t facing any backlash for his performance in Saawariya. Ranbir also received his first Filmfare Award as Best Actor for Saawariya. Although Ranbir, definitely has to put in a lot of effort and dedication to reach where his ancestors have reached, Ranbir does have what it takes to make it big in the industry. And surely he is looking up towards an illustrous career. What with fsome great films in the pipeline. And one of them is Aamir Khan’s Delhi Belly. After last week’s Sanjay Manyata Marriage news hit headlines, here is another wedding news coming Bollywood’s way. Ace director Sanjay Leela Bhansali has finally found his real life Saawariya in talented choreographer, Vaibhavi Merchant. Sanjay and Vaibhavi’s marriage news surely has come as a surprise for most Bollywood fans, as none of the gossip news indicated any such happening.